I twiddle my hair in my ear. It tickles. Have done since I was a child. I don’t have one. But I get called A, Ang, Angie, Angel and Angelina! 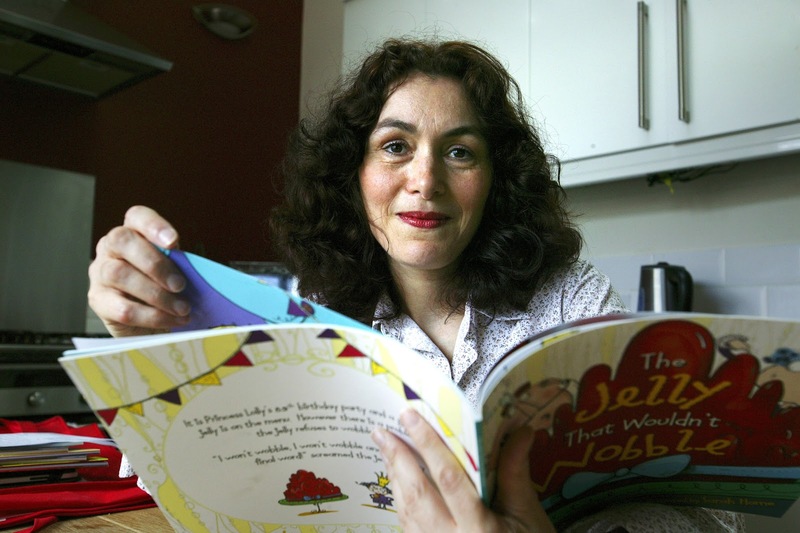 The Jelly That Wouldn't Wobble has been called funny and quirky. Are these ten words? I’m still aspiring to be a writer. Clara Peggotty in David Copperfield, because she’s gentle and kind and selfless. Oh, 1942, so I could attend the first screening of Random Harvest with Greer Garson and Ronald Colman. It’s my favourite film of all-time. I shouldn’t have been so shy. People who have struggled to overcome anything. After reading so many picture books, I started getting ideas for stories and wrote them down. Over four years I built up quite a collection, and finally plucked up the courage to submit one to a publisher. Serendipity – unexpected discovery is fun! 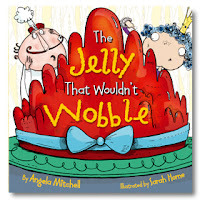 The Jelly That Wouldn't Wobble is Angela's first book.